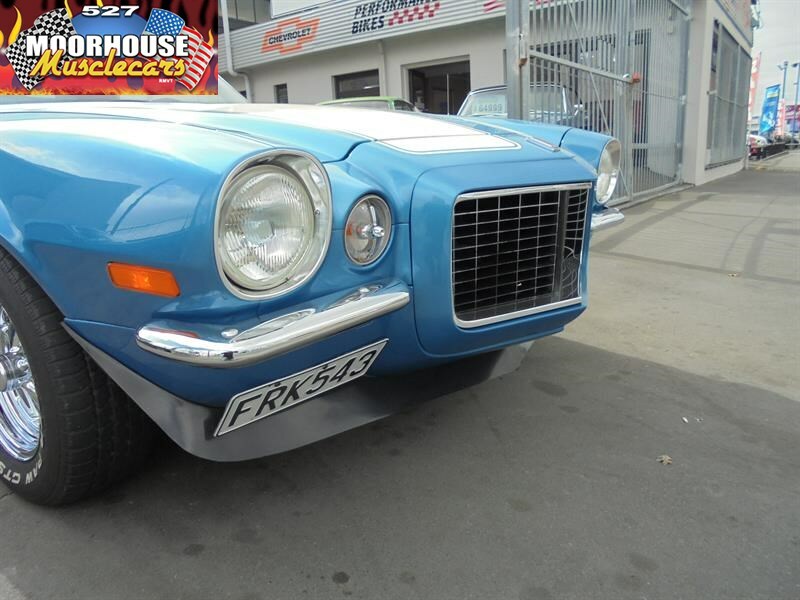 Arguably the ultimate shape in the iconic Camaro line up, the early Second Generation Split Bar Rally Sport! 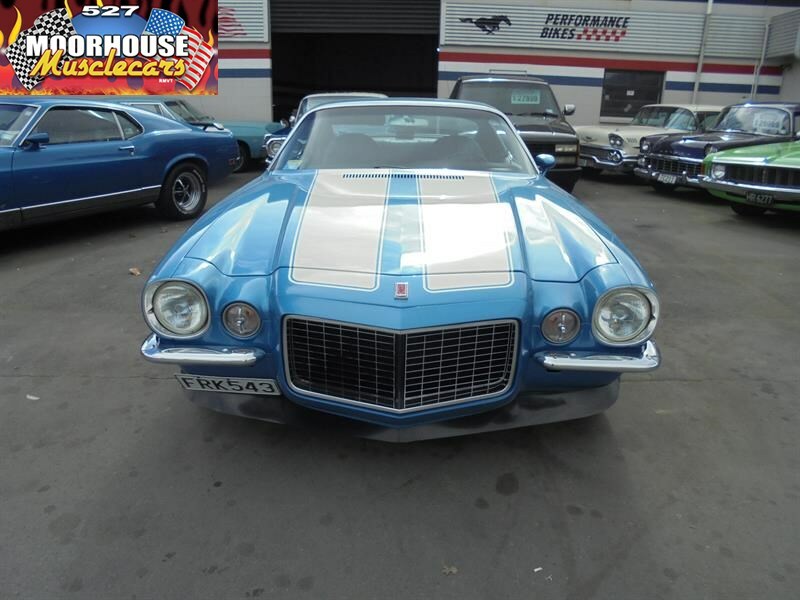 This magnificent R/S has enjoyed a very cherished existence living almost its entire life with the one family in Arizona from brand new! 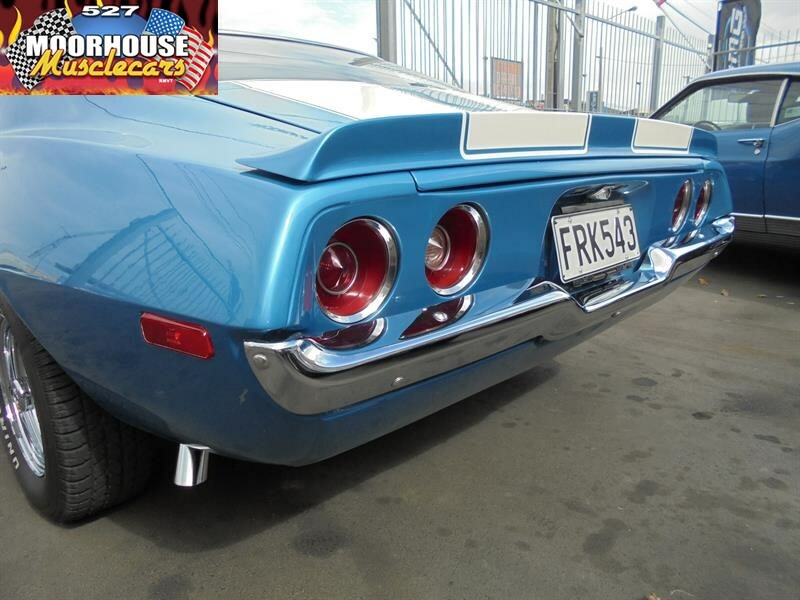 Having been baked in the harsh California sun for several decades this example has been the recipient of a quality restoration to a high standard by the Auto Galleria of Arizona just prior to being imported to NZ in 2010 and still presents exceptionally well over all having had just the one respectful owner here in NZ . 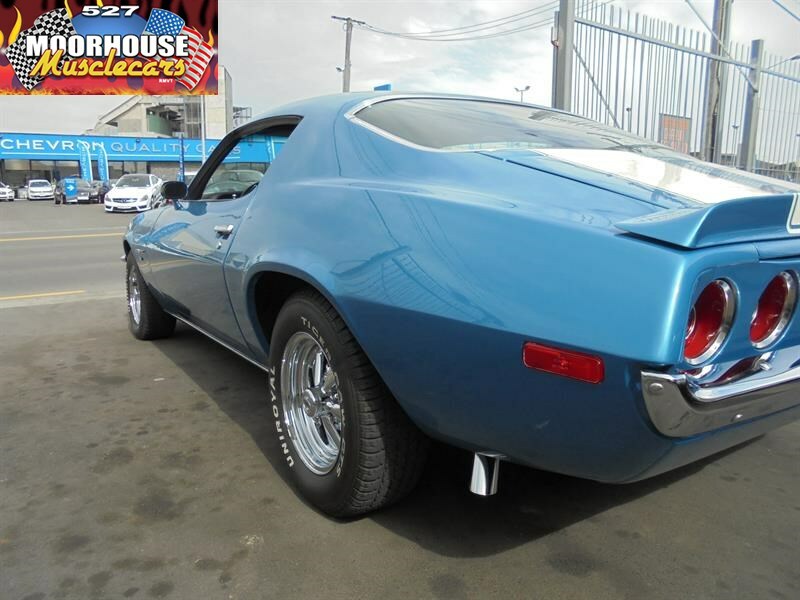 The solid and very clean body on this R/S is in very nice order with lovely paintwork in the stunning and highly desirable Mulsanne Blue metallic, which is the original code 26 colour for this car, complemented further by classic white Z28 style runway stripes and front and rear spoilers. 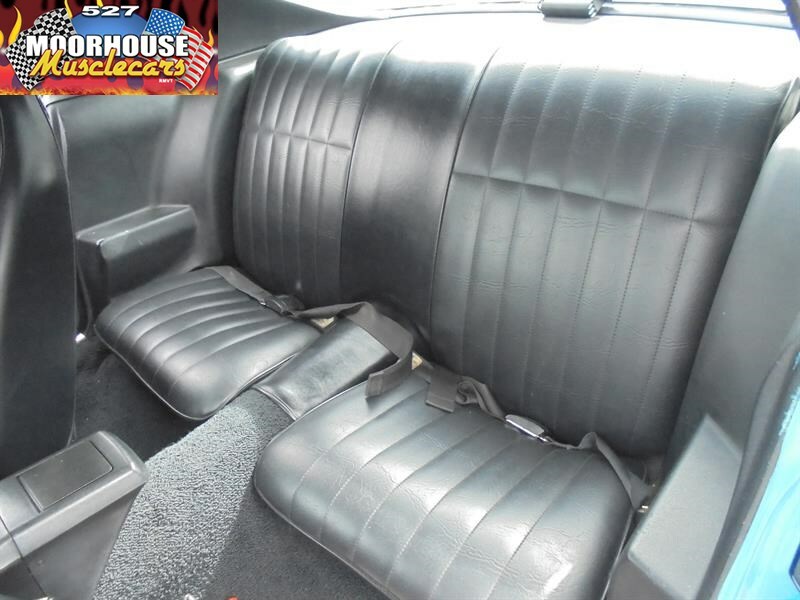 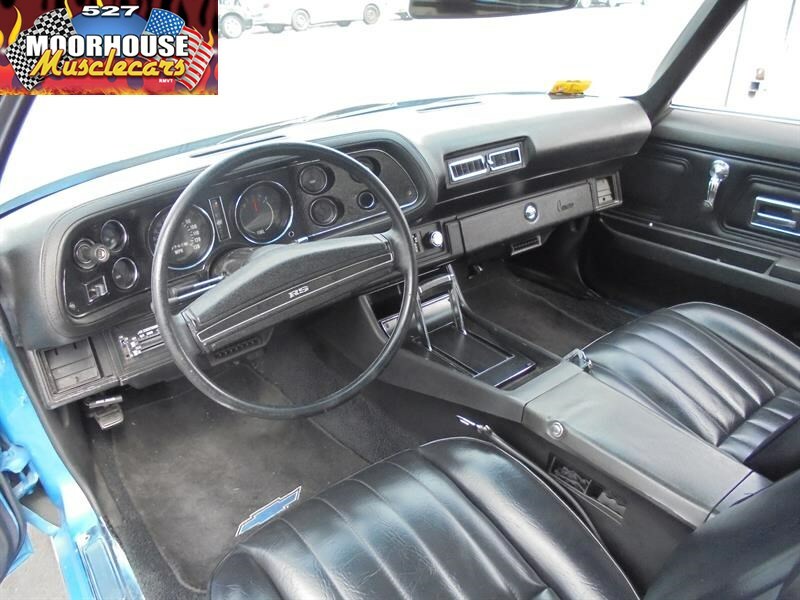 The interior in this example has also had a full restoration, and as a result presents exceptionally well too, with the desirable Staple Shifter, high back buckets, and full centre console. 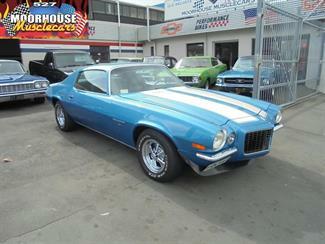 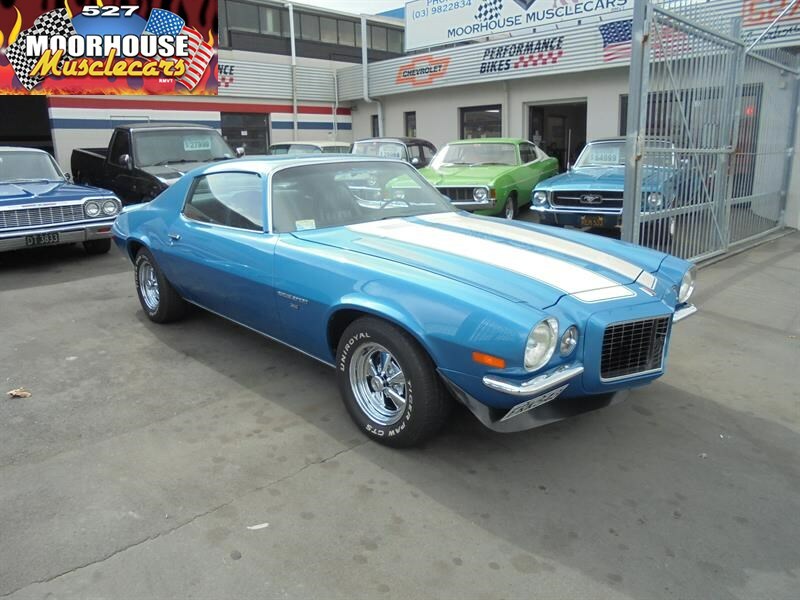 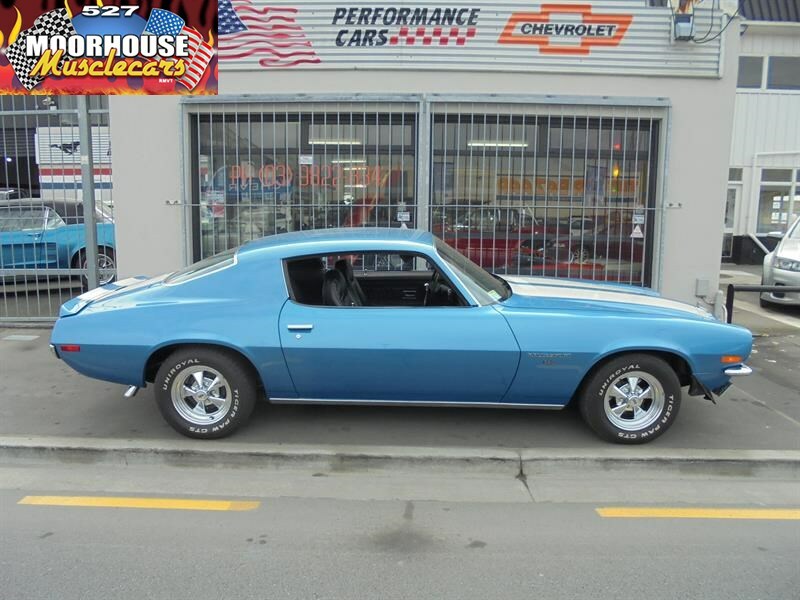 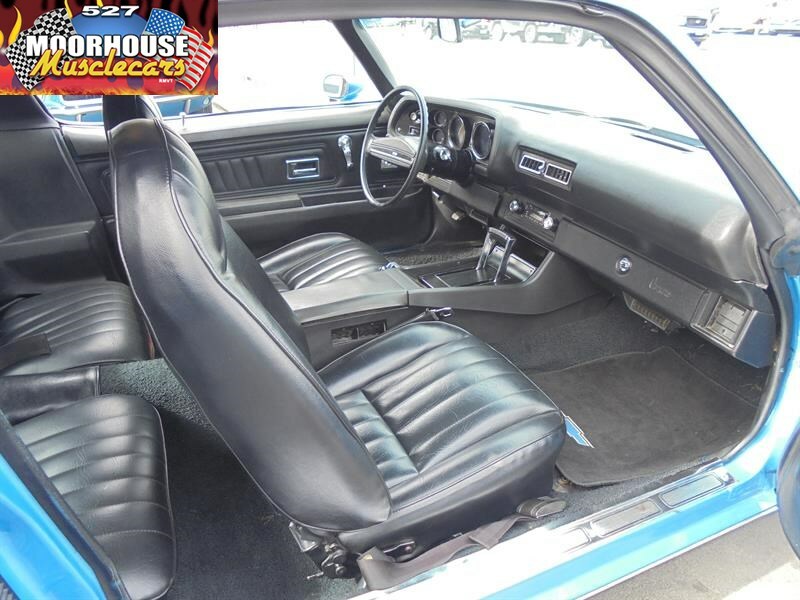 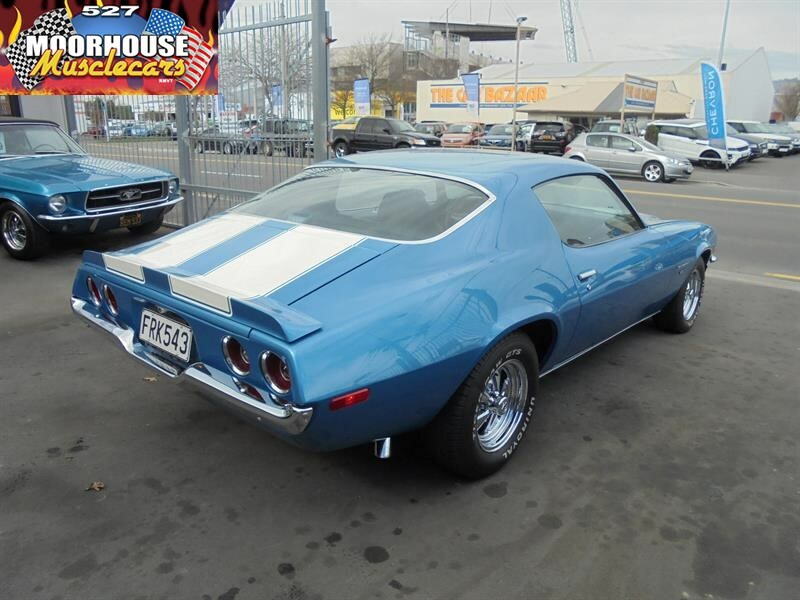 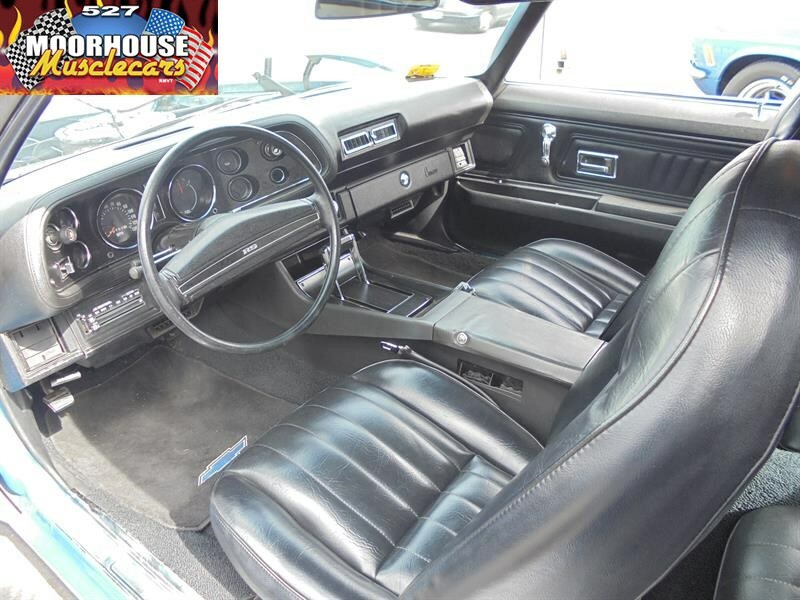 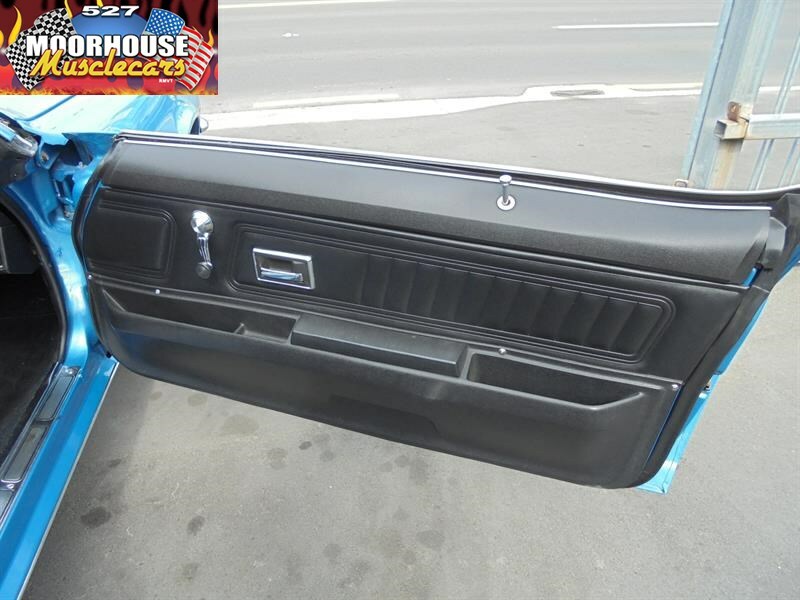 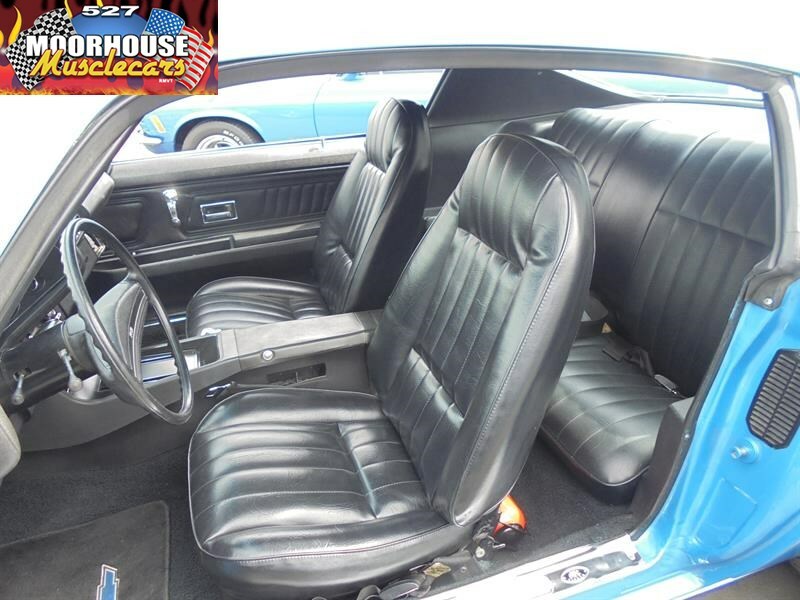 Well optioned from new this example has power steering, power disc brakes and factory fitted Air Con, so is a very user friendly classic Muscle Car with nice road manners, and that great comfortable feel that these cars are well known for. 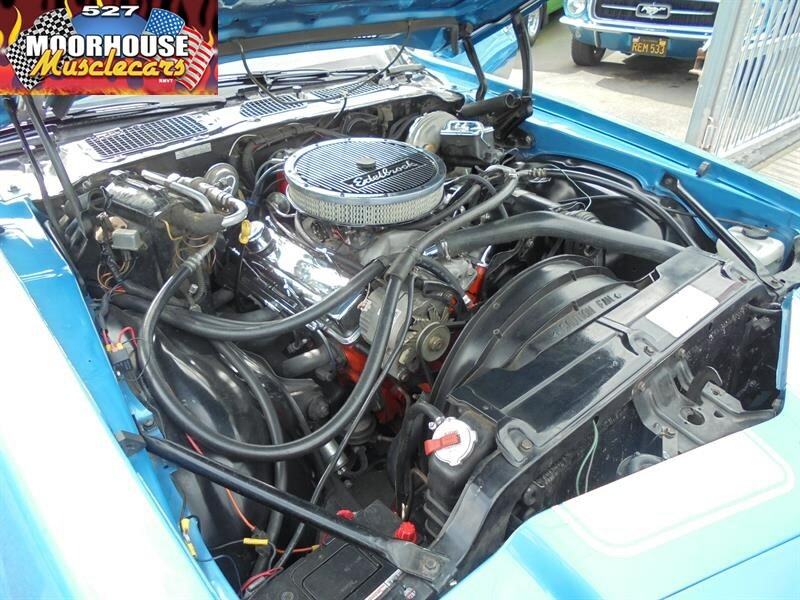 The nicely detailed 350 ci Small block residing in the engine bay is believed to be a replacement crate engine, and is running nicely through the 4 barrel and tuned headers, and being coupled up to the TH350 Automatic makes for a lovely cruising package overall . 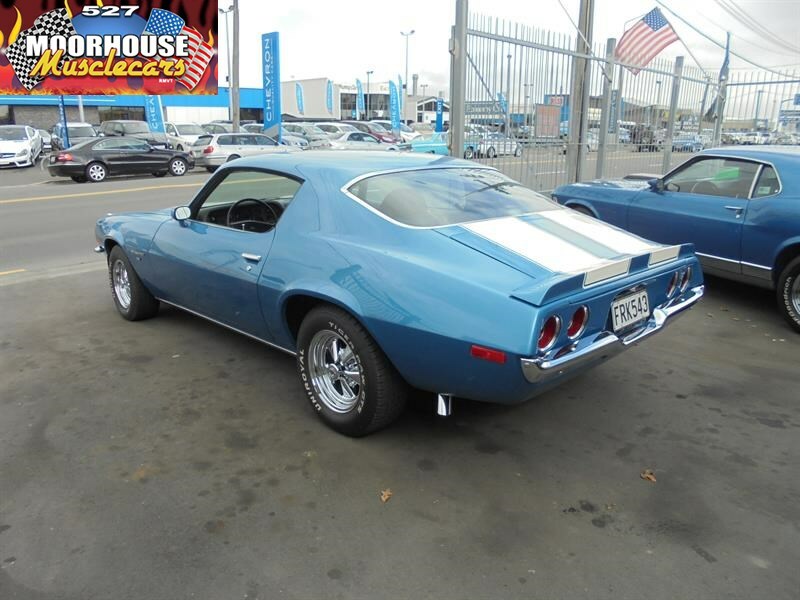 All new rubbers and trims have been fitted throughout, and the chrome and trim has all been refurbished in the restoration of this stunning Camaro. 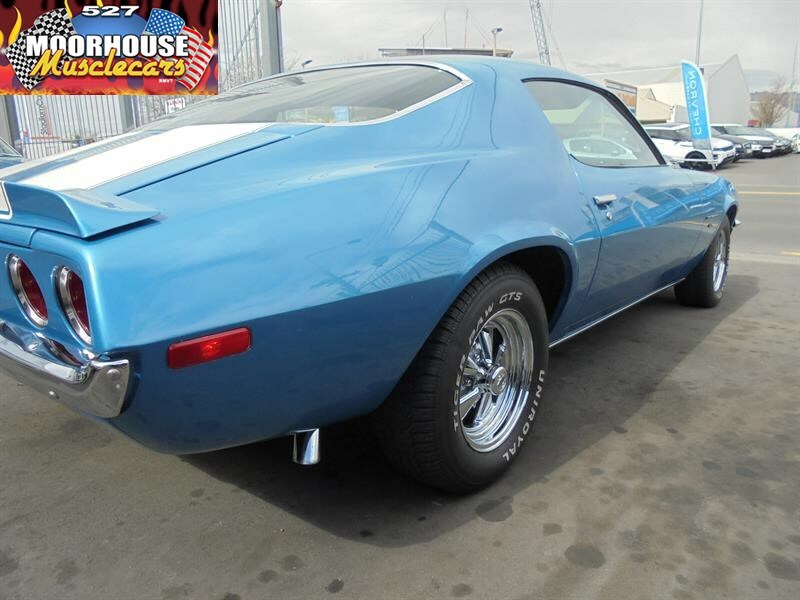 A decent file of documentation accompanies this classic Seventies Muscle Car along with a the Arizona title, and 30 + years of registration documents confirming both the ownership history, and the fact that this is a genuine Arizona West Coast native. 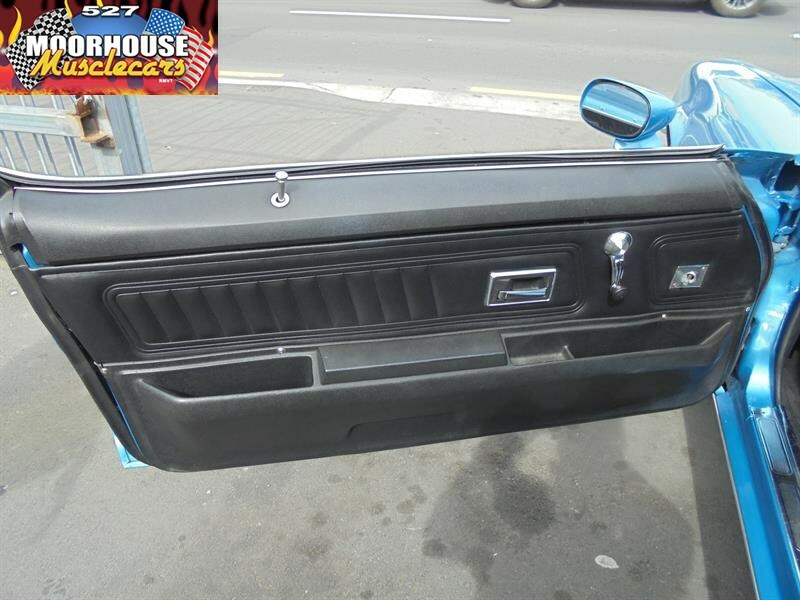 A hard car to replace in this condition now, this was a challenging find back in 2010.. and they certainly haven't got any easier or cheaper to find today! 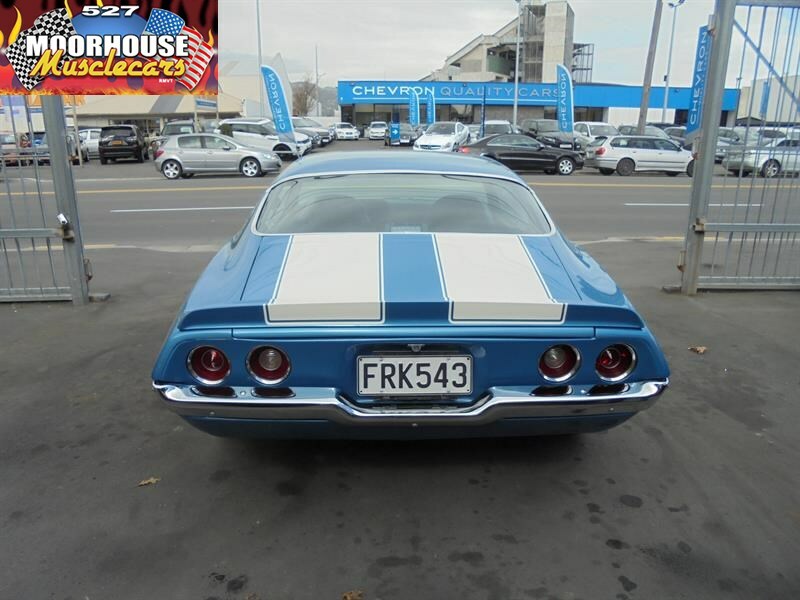 Call today for further details on this stunning R/S today, ready to turn key and enjoy!